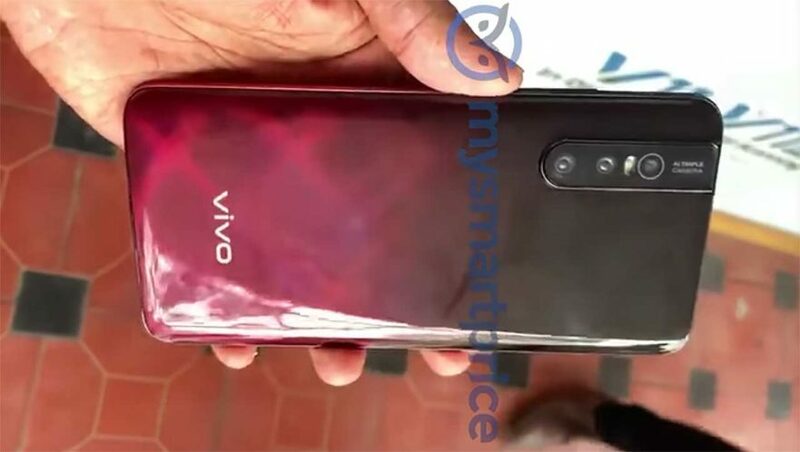 It was reported a while ago that Vivo will launch the Vivo V15 Pro in India on February 20, with preorders rumored to kick off on February 15. A television spot, renders, and live images showing off the device have recently been leaked online. And now we have a brief hands-on video of the smartphone, confirming some hardware details we already knew, specifically that it will sport three rear cameras and a gradient, two-tone diamond design on its back. The Vivo V15 Pro is the immediate successor to the Vivo V11 Pro that debuted on the Indian market last year. It arrived as the Vivo V11 in the Philippines with a P19,999 (roughly $383 converted) price tag at launch. New information reveals the phone sports the world’s first 32-megapixel pop-up selfie camera that takes inspiration from the Vivo NEX flagship. Like the NEX, the V15 Pro will also get an all-screen front that houses an under-display fingerprint sensor. For regular pictures, the 48-megapixel rear camera will reportedly be joined by 8- and 5-megapixel sensors. A Geekbench listing of the device hints at a Qualcomm Snapdragon 675 processor inside, likely accompanied by 6GB RAM and 128GB of expandable storage. The battery could be rated at 3,700mAh and is expected to support Vivo’s Dual Engine standard, with everything you need for fast charging included in the box. Some reports have claimed the V15 Pro will be priced between ₹20,000 (P14,642 or $280) and ₹25,000 (P18,302 or $350) in India. Others say it could go as high as ₹33,000 (P24,148 or $462). Hopefully, that won’t be the case when the phone hits stores here in the Philippines.